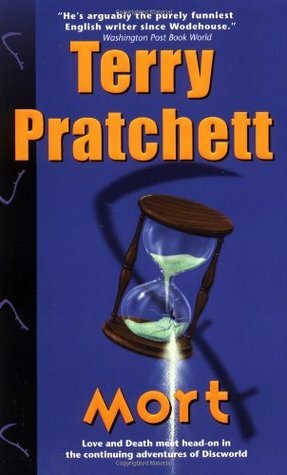 In my ongoing experiment with Terry Pratchett, this one I actually enjoyed. I can understand how it made it onto the Big Read list, and why, therefore, it is on my reading list. Although it isn't quite time-travel, it does embrace the concept of messing about with the expected pattern of events - and the consequences of doing so. I really like how Pratchett explores the "life" of Death, how he exists, how he does his job, and how he interacts with other people. How he would like to get away from it all sometimes, and how an apprentice can fill the role. It's an interesting story, told well, and renewed my faith in the series. Sign into Goodreads to see if any of your friends have read Mort.